When American Rivers announced on Wednesday that the upper Colorado River was among the nation’s most endangered of 2014, the nonprofit group by reference also included the Roaring Fork and Fryingpan rivers, which are its tributaries. “It’s a bunch of river with serious targets on them,” said Ken Neubecker of Carbondale about the upper Colorado basin. Neubecker, a longtime volunteer with Trout Unlimited and the former head of Western Rivers Institute, now works with American Rivers on policy and conservation issues. In addition to rivers in the Roaring Fork watershed, Neubecker said the Blue, Eagle, Fraser, Yampa, Gunnison and Green rivers are all threatened by more water diversions. Aspenites will have a chance to learn more about the current threats and challenges to local and regional rivers when Louis Meyer of Glenwood Springs-based SGM engineering firm makes a presentation today at 6 p.m. in the Rio Grande meeting room in Aspen behind the county courthouse. Meyer is an engineer, a member of the Colorado River Basin Roundtable and a consultant to the roundtable, which is charged with developing a detailed water plan for the Colorado River basin by July. 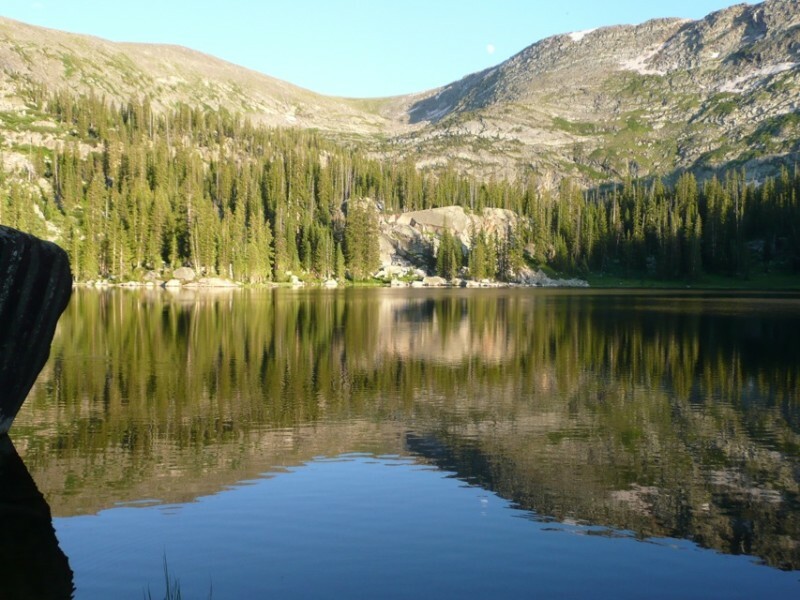 That basin plan will help inform a statewide plan called the Colorado Water Plan. For the past several months, Meyer has been talking to members of the public and water providers across the upper Colorado River basin, which extends in Colorado from Rocky Mountain National Park to the state line west of Loma. During a recent presentation in Carbondale sponsored by the Roaring Fork Conservancy, Meyer said 41 percent of the Fryingpan River and Hunter Creek is diverted to the Front Range, while 37 percent of the water in the Roaring Fork River and its upper tributaries is sent east under the Continental Divide. Each year, about 98,900 acre-feet of water is sent out of Pitkin County to growing cities on the Front Range, which is equal to almost all the stored water in a full Ruedi Reservoir. By comparison, Grand County sends 307,500 acre-feet east, Summit County, 73,100 acre-feet, and Eagle, 32,000 acre-feet. He suggested that people in the Roaring Fork River valley need to better understand what the “PSOP,” or “Preferred Storage Options Plan” is. “PSOP is something you have to start paying attention to,” Meyer said. “It is an effort by the consortium of East Slope water providers in the Arkansas basin — the Southeastern Water Conservancy District, the cities of Pueblo and Colorado Springs. “They would like to enlarge Turquoise Reservoir, near Leadville — that’s where water out of the Fryingpan is diverted — and they want to enlarge Pueblo Reservoir down very low in the basin so they can store more water. In addition to PSOP, that could mean diverting more water from a “deferred area” in the Fryingpan headwaters through diversions planned, but not built, as part of the original Fry-Ark project. The straws, or big pipelines and pump-back projects, could take water from the Green, Yampa, or Gunnison rivers and send it back over the Continental Divide to the Front Range. And Meyer said discussions are happening now between Front Range and Western Slope water interests to determine under what conditions the Western Slope parties might agree to such a project. State officials have projected a future gap between water demand and supply of 500,000 acre-feet a year by 2050, when Colorado’s population is expected to have nearly doubled. Yet Meyer has said that by increasing water efficiency and conservation, and changing land-use habits, that gap can be met without big new projects. “We did a study that showed if the Front Range worked on their per capita water consumption a little bit, and reduced their bluegrass lawns a little, there is no gap,” Meyer said. Land use, not water use, may be the real key to leaving water in Western Slope rivers, he added. “The land use of the future needs to look very different than the land use of today,” Meyer said. Editor’s note: Aspen Journalism and the Aspen Daily News are collaborating on the coverage of water and rivers. The Daily News published this story on Thursday, April 10, 2014.
providers and all of them claim to be the best.